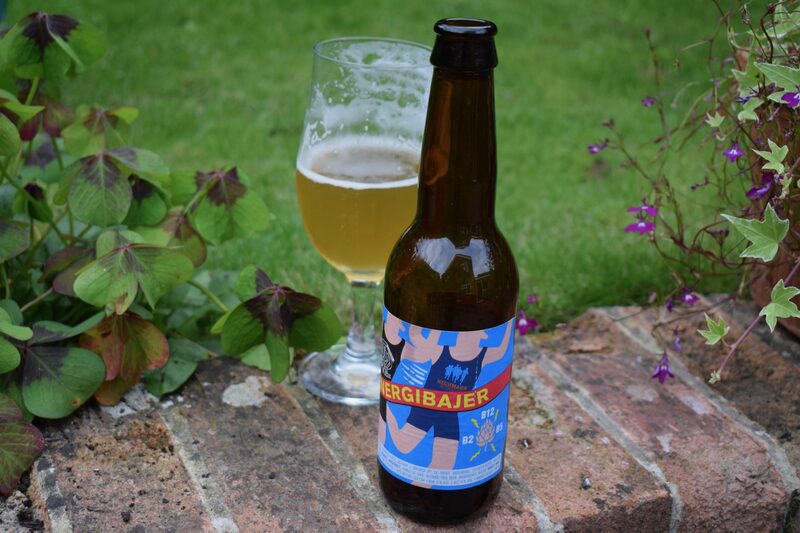 Mikkeller “Energibajer” is a cloudy and aromatic alcohol-free wheat beer. Read this review to get tasting notes, plus nutritional info including calorie content and where to buy it. Earlier this year, alcohol-free beer hit the headlines when German brewery Krombacher supplied around 7000 pints of non-alcoholic beer to German athletes during the Winter Olympics. The benefits of alcohol-free beer as a sports drink are clear. Any beer with less than 2% alcohol rehydrates rather than dehydrates, and many beers contain carbohydrates and minerals that provide a little energy and help us recover more quickly from exercise. This is why many alcohol-free brands, such as Fitbeer and Erdinger, market their beers as a sports-related drinks. Anyway, drinking beer for energy isn’t new – monks in the middle ages would brew beers high in carbohydrates to provide extra nourishment in times of fasting. Mikkeller, the Danish “gypsy” brewer that doesn’t have a permanent home for brewing, is another brewery that has sports credentials. Mikkeller has set up more than 180 running clubs around the world. So it’s only natural that it produces beers perfect for chugging down after a workout. I’ve already reviewed Mikkeller’s “Racing Beer” (0.5%) low-alcohol lager. 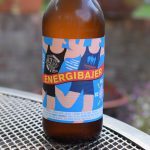 Here’s another running-themed beer called “Energibajer”. 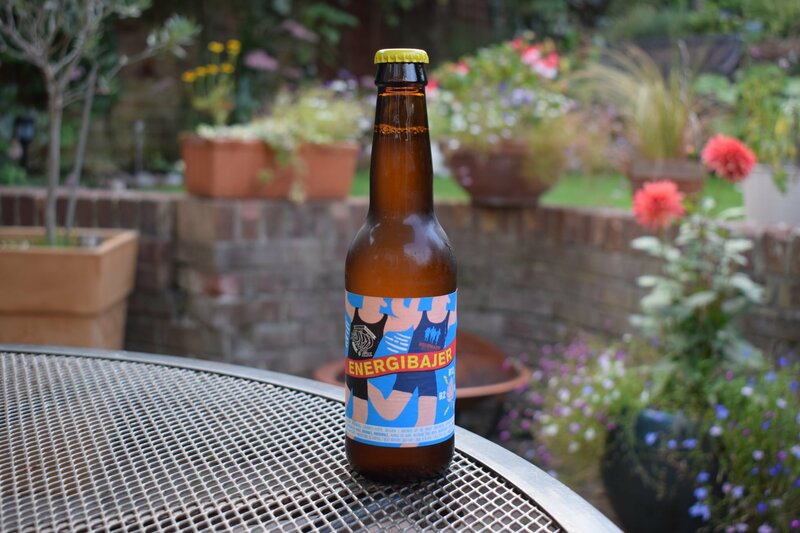 Made with a yeast that ferments without producing alcohol, this one comes in at 0% – unusual for a non-alcoholic beer that hasn’t had its alcohol removed after fermentation. To pack in the extra carbohydrates that come in handy for boosting recovery after sports, Energibajer includes a good portion of wheat. And while the combination of wheat and special yeast doesn’t send the carb levels off the scale, it’s resulted in few sugars making up the carbohydrate content – there’s 3.7g of carbs per 100ml, which includes just 0.1g of sugar. Another benefit of wheat in beer is that it creates a good head and that’s evident when you pour Energibajer into a glass. This settles down quickly but still manages to leave some froth down the sides as you drink. The beer itself is a little cloudy and light golden in colour. So it’s no surprise to get a good whiff of lemon and pine in the aroma. As the beer warms, the aroma gets sweeter with mango joining the other flavours. There’s also slight wortiness hanging around when you take a sniff. But it’s not enough to ruin the aromas. There’s none of the smells you’d associate with a classic wheat beer, like banana an clove. Not that these are needed. The mouthfeel of Mikkeller’s alcohol-free brews never disappoint and Energibajer, with the suspended proteins from the wheat to add thickness to the body, is no different. It’s probably only a smidge more watery than many similar strength beers. It’s big on carbonation, so a bit too fizzy for my liking. Mango is also present in the taste along with lychee and some caramel from the malt. The lemon comes through when you swallow. There’s a slight soapiness too, but it’s overpowered by the fruit flavours. Initially, there’s not enough sweetness to counteract the bitterness provided by the hops. But again, as the beer warms, it becomes more finely balanced. The finish is dry, with an acute bitter aftertaste. 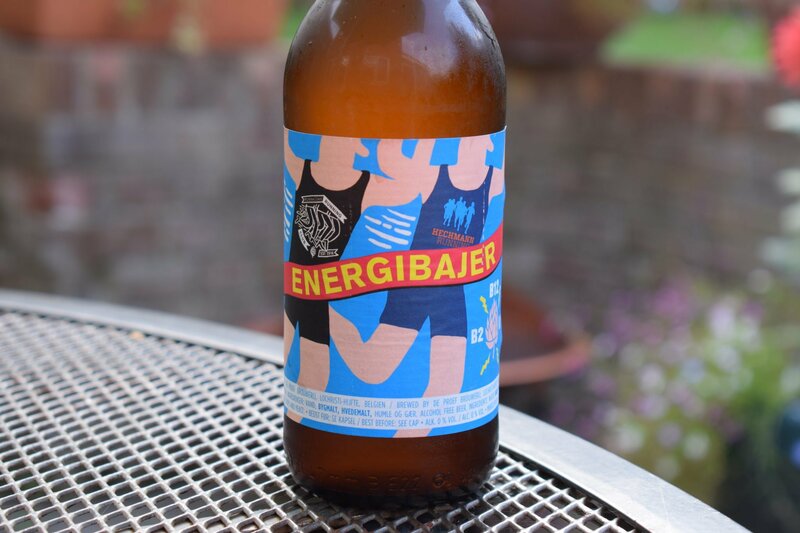 Energibajer is another quality alcohol-free beer from Mikkeller that will go down well at any time, not just after exercise. It’s low in sugar too, despite a good amount of carbohydrates. The only negatives for me were a little too much carbonation and bitterness. Yet it’s still more drinkable that many other non-alcoholic beers. Just don’t expect it to be a classic wheat beer – this will more likely appeal to fans of modern pale ale styles.